Years ago someone said to me: one of the great problems of this world is the fact that people have become less concerned about their legacy. The legacy they leave when they are no longer in a place; be it, position of power or life in general. I have always loved Bob Marley (and no, it isn’t because I am on dreads). His songs are filled with wisdom and simple sincerity that leaves something deep with you. 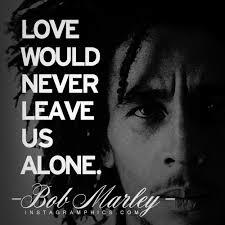 I remember as a child listening to my father play his songs and even at such young age, Marley sounded so wise to me. I have wanted to write this post about him for a bit and finally have got around to doing just that (Thank God).